The advances in home technology are amazing. You can create an entire integrated experience using various devices that will turn your home into a smart home. Most incredible of all, it isn’t that expensive to do and actually adds potential value to your home. Here are some ideas borrowed from Pinterest that show how people just like you are increasing the value of their house and making it smarter. There is nothing more important than the safety and wellbeing of your family. You can help to ensure it by installing a smart lock. They work by connecting to an app on the phones of anyone authorized to enter the house. It unlocks a reinforced deadbolt when they approach the door so there are no keys to deal with. Worried about a phone being lost or the battery dying? Many models give users the ability to remotely lock and unlock the door so another member of the household can let them in. 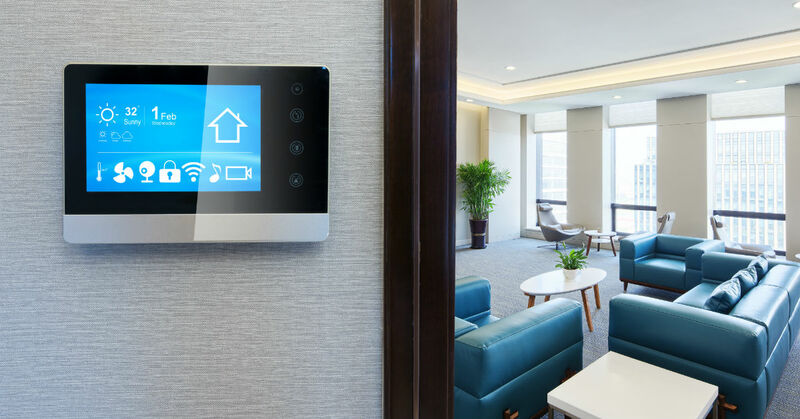 There are several models available from many different manufacturers, but what all smart thermostats have in common is that it gives you total control over your home’s climate. It also has the added benefit of limiting the resources you use, making it a better option for the environment. The temperature can be monitored and changed from your phone and others can be added to the network. It can also be controlled from the unit on your wall. It watched humidity and shows you how much energy you are using over time. All features are programmable. Smart fridges have been all the rage at recent technology expos. They monitor what is in your fridge, what is expiring or running out and the temperature within, auto adjusting or giving you recommendations. It also connects to other devices and products and lets you watch TV, browse the web and more. Auto watering sprinkler systems have been around for awhile outdoors. Now you can bring the same system indoors with self-watering indoor plant boxes or full wall greenhouse systems. They are made to give each plant the perfect amount of water and some also provide UV light for the right amount of sun based on each plant’s needs. Find out more at Jensen and Company.